Many of you may know about Romanian wine, but yes, of course, Moldova is pretty awesome when it comes to wine, too. Unfortunately, their wine industry is more under pressure by poor domestic spending capacity and low level of export (in fact Russia recently banned Moldovan wine imports cause Moldova dared to sign a treaty with the EU). 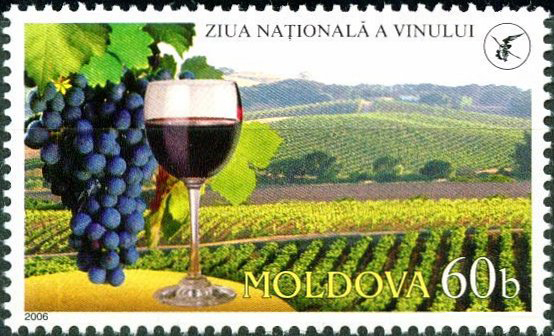 But, Moldovans love their wine and support it with this very important festival (the stamp is dedicated to the festival in fact). If you want to read more about the topic, start here, here or here!